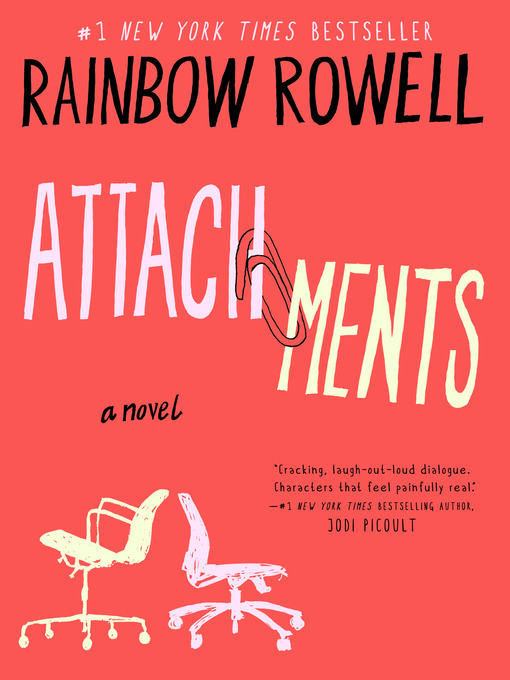 The item Attachments, Rainbow Rowell, (electronic resource) represents a specific, individual, material embodiment of a distinct intellectual or artistic creation found in Lawrence Public Library. "Hi, I'm the guy who reads your e-mail, and also, I love you . . . " Beth Fremont and Jennifer Scribner-Snyder know that somebody is monitoring their work e-mail. (Everybody in the newsroom knows. It's company policy.) But they can't quite bring themselves to take it seriously. They go on sending each other endless and endlessly hilarious e-mails, discussing every aspect of their personal lives.Meanwhile, Lincoln O'Neill can't believe this is his job now- reading other people's e-mail. When he applied to be "internet security officer, " he pictured himself building firewalls and crushing hackers- not writing up a report every time a sports reporter forwards a dirty joke.When Lincoln comes across Beth's and Jennifer's messages, he knows he should turn them in. But he can't help being entertained-and captivated-by their stories.By the time Lincoln realizes he's falling for Beth, it's way too late to introduce himself.What would he say . . . ?